Tribal TBL-90 Bb Student Trumpet Description: Trumpet Specs: Key of Bb, 4 7/8" Bell, 0.49 Bore, Dual Water Keys, Heavy Duty Brass Body Lacquered Finish. Accessories: Hardshell Trumpet Case, Mouthpiece and Trumpet Maintenance Kit (Valve Oil, Cleaning Cloth, Snake and Mouthpiece Brush.) 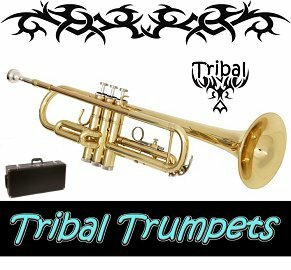 The Tribal Bb Student Trumpet Rental has a heavy duty body and dual water keys and is well designed for todays's trumpet student. Insurance and repair coverage is included. Select from 3, 6 or 9 month rental options. Rental goes to monthly billing at the end of the up front rental period you select and you may return at anytime. There is a purchase option with every rental which allows you to apply up to a specific amount of paid rental fees toward the purchase of your instrument. There are economical advantages to paying for a larger block upfront and those options and discounts may be reviewed above. 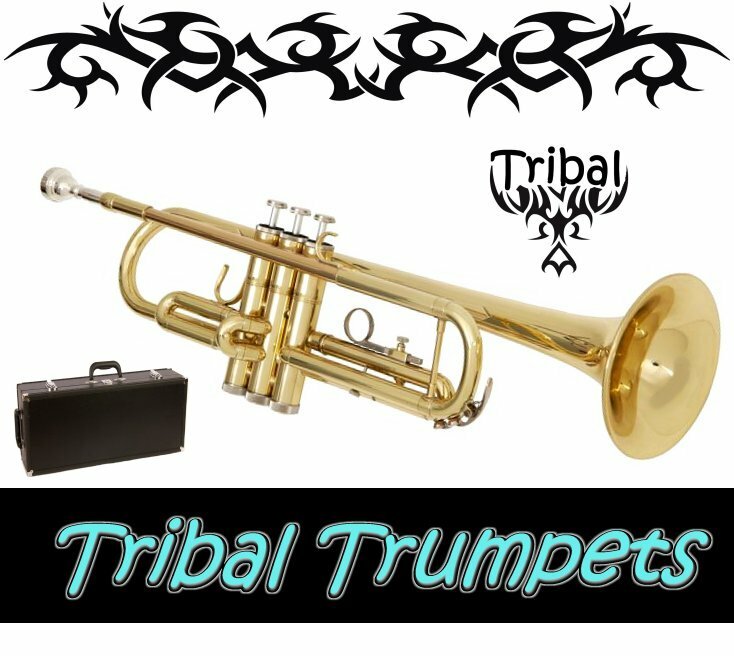 We can ship your Tribal Student Trumpet Rental anywhere in the USA! Rent a Trumpet Online with MusicRentalCentral.com Today!. Click Here to Play a Trumpet Sound Sample.